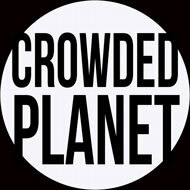 GR: It is important to remember this feature of global warming. Lethal heatwaves are spotty now, but they will spread as the years pass. Having a strategy for surviving the heat is as important as having an emergency survival kit. 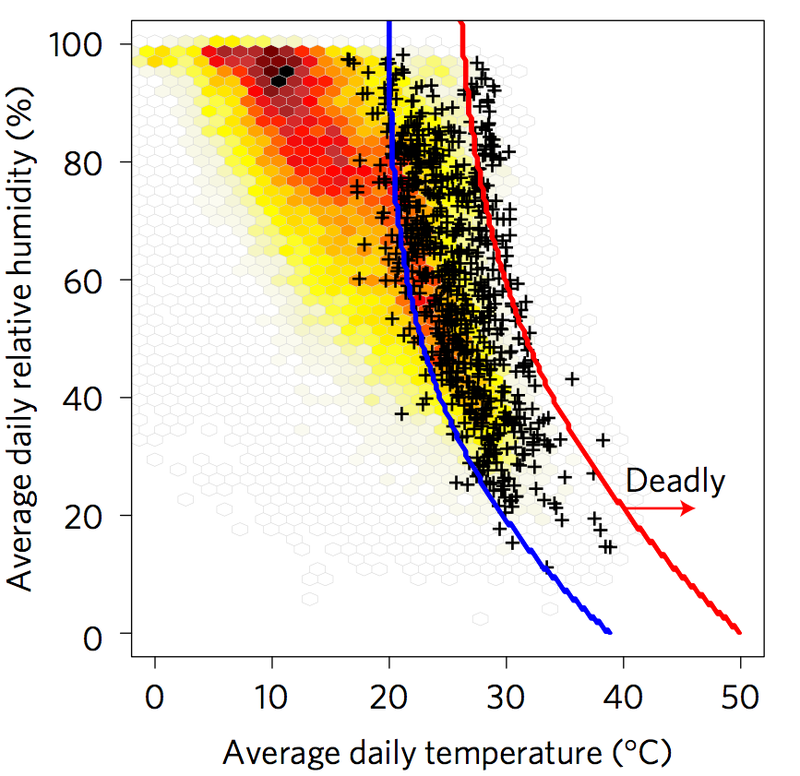 When temperature reaches the lethal zone (graph below), shade and reduced activity become essential. Thank you Exxon. “Up to three quarters of the world’s population could be at risk from deadly heat extremes by the end of the century, a new study suggests. “The research finds that just under a third of the global population is currently exposed to heat extremes that have resulted in deaths in the past. 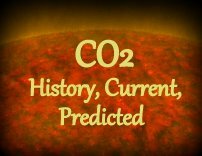 This will increase as global temperatures rise. “Keeping global warming to less than 2C above pre-industrial levels would limit the number at risk from potentially lethal heatwaves to around half of the global population. “But, as other scientists tell Carbon Brief, studies into heat-related deaths have a number of challenges to overcome before their findings can become widely applicable across both developed and developing regions. “Recent decades have seen some stark examples of how devastating heatwaves can be. For example, summer heat extremes caused more than 70,000 deaths across Europe in 2003, close to 11,000 in Moscow in 2010 (from both heat and air pollution), and around 740 in Chicago in 1995. “The new study, published today in Nature Climate Change, suggests that the number of people at risk from such deadly heat extremes will rise in future. “The researchers trawled through the peer-reviewed literature for studies published between 1980 and 2014 about heat-related deaths. This turned up 911 papers that covered almost 2,000 case studies from around the world. Of these case studies, 783 focused on specific heatwave events in specific cities. This entry was posted in Climate Change, Global Warming and tagged heatwaves, lethal-heatwaves by GarryRogers. Bookmark the permalink. Sobering statistics – and the world has it’s head in the sand !